Bet you’ll want to bring your buddies along! recROC is a great facility for hosting fun gatherings – with or without a purpose beyond adventure. To book your recROC outing, contact recROCinfo@lititzrec.com, or call 717.874.3281. To jump start the registration process, complete the registration form below! 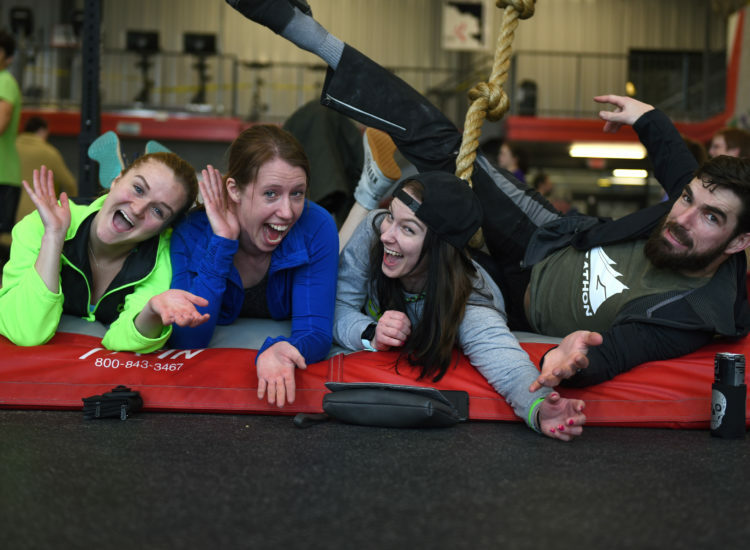 Setting goals, conquering challenges, motivating peers – put the tried and true team-building elements to the test at recROC! Customize a team experience to include physical challenges for many age levels and abilities. Seeking some adventure for your next group outing or field trip? recROC can combine experience and skill-development with active fun for groups of a few or many. 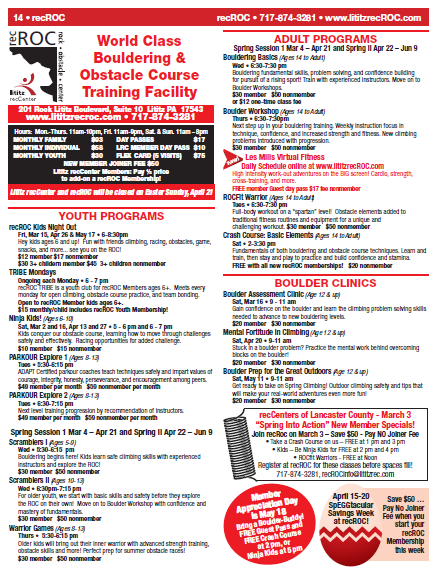 Customize your itinerary to include time with trainers or instructors, or just focus on fitness, obstacle, or boulder fun. recROC has all the elements for the perfect celebration adventure! Mix fun, friends and family, and even food for a few hour or even a day-long (or night!) event. Explore local food and drink options at walkable locations on the Rock Lititz campus, or in Lititz. Bring your food along and set-up a party of your own. For older kids (or adults young at heart), recROC is a bouldering, obstacle racing blast for a party destination! Check out Everything ROC’s Parties! Complete a reservation request online, or contact ROCinfo@lititzrec.com to check availability. Submitting a request does not guarantee a reservation.